Porsche pays tribute to the iconic Martini Racing Team of the late 60s and 70s with the new Porsche 918 Spyder Martini Concept. Porsche’s mum on that vehicle, but does note in its release that a ‘Ring lap time of “under 7:22” has been a longstanding goal in the 918’s development. 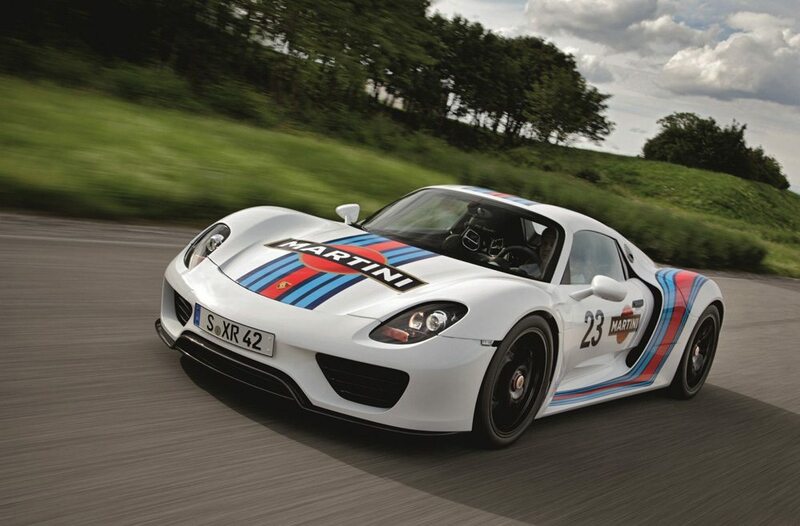 There’s just something about seeing the Martini colors on the 918. I can only hope the production 918 Spyders replicate some of the fun I see in this concept. Maybe it’s a hint at Porsche’s future Le Mans sponsor?